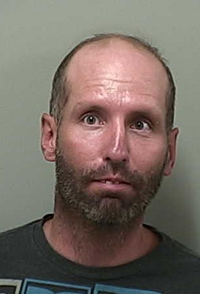 A 35-year-old Twin Falls man remained incarcerated Tuesday in the Blaine County jail on $15,000 bond after being arrested on a felony DUI charge on Friday, Aug. 15, near Alturas Lake north of Ketchum. Blaine County Sheriff Gene Ramsey said Jason D. Partridge was charged with a felony because he had an “excessive” blood-alcohol level of .28 when taken into custody. Idaho code defines an “excessive” blood-alcohol level at anything above .20. Code further provides that a person can be charged with a felony if that person has a prior “excessive” DUI conviction within five years of the arrest. According to Idaho court records, Partridge had a prior excessive DUI conviction in 2013 in Twin Falls County. In that case, he was sentenced to 10 days in jail. Partridge was formally charged with felony DUI at an initial court appearance Monday in Blaine County Magistrate Court. Ramsey said Partridge was arrested following a traffic stop shortly before 8 p.m. on Friday. He said Partridge, driving southbound, failed to signal before turning onto Alturas Lake Road. Ramsey said his deputy was also suspicious of Partridge because he had been driving at 45 miles per hour in a 65 mph zone. Partridge was also charged with the misdemeanor crimes of driving without privileges and possessing an open container of alcohol while driving.